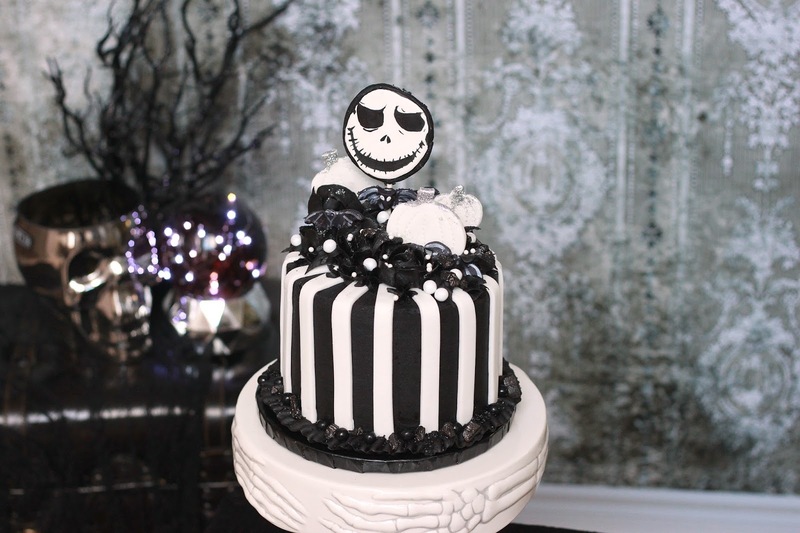 How else could I commemorate this -- this my favourite day, this -- the grand finale of Halloweek -- than with this beautiful Jack cake?!? 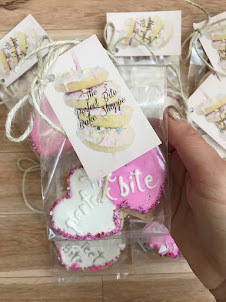 I feel like since taking a brief hiatus from caking and food styling on a bigger scale I've really struggled. I just feel like lighting is never right and props are falling over or breaking and my set is on the verge of collapse every time. I was admittedly nervous to make this cake. Y'all know Jack is BAE. 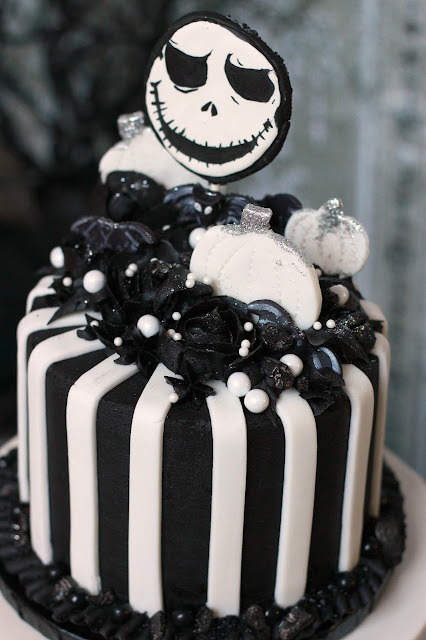 I have worshipped at the alter of Tim Burton since I was a kid. Half of my room is macabre little accents inspired by Tim Burton's world. That being the case, there were of course some things I wasn't thrilled with and had to start over. Word to the wise -- the Wilton ribbon cutter is a lot harder to use than just a ruler and a pizza cutter. So I can't suggest it if you have a lot of stripes to cut. The base of the cake is vanilla cake. I make a butter cake because I think the flavour is delicious and it's a sturdy cake. Layered in between is strawberry buttercream. I made a strawberry reduction and folded it into my vanilla bean buttercream, DIVINE! Probably my favourite flavour so far. I used fondant for the stripes. 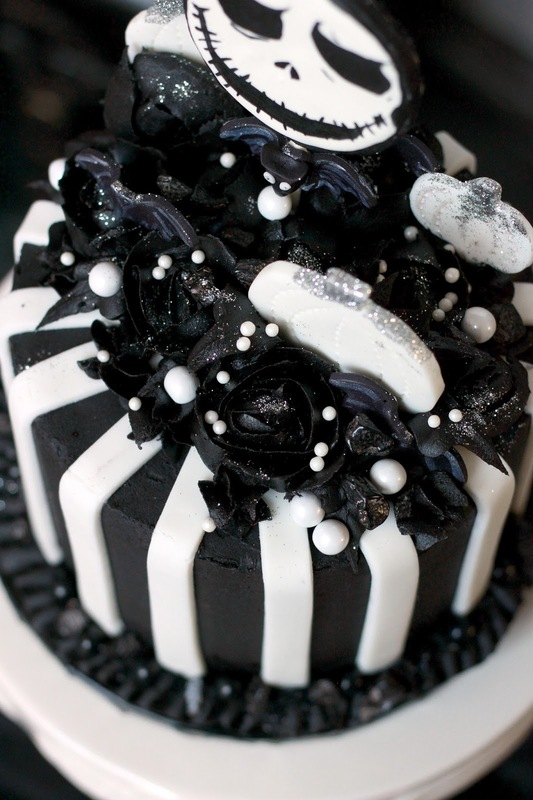 I don't think piping buttercream stripes on black buttercream is reliable. Make one mistake and bye bye colours. I made Jack out of a sugar cookie -- his bat bow tie is fondant. I painted on his cute little face with edible paint. 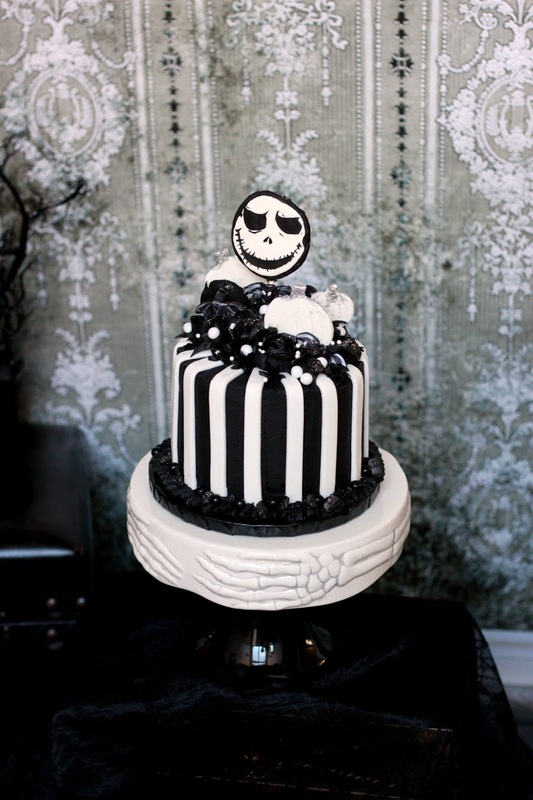 I was going to just make him fondant but who likes eating fondant? This way the birthday girl could take him home and eat him later ;) To cover the back of his head I dipped him in black sanding sugar. The pumpkins are also fondant and I used a stitching tool for the details. CAN YOU SEE THAT SWEET CRYSTAL BALL IN THE BACK OF SOME OF THE PHOTOS!! Thanks to mama bear for letting me borrow it. And the backdrop. And the table. And the camera. it's neat because without the crystal ball the photo almost looks black and white. 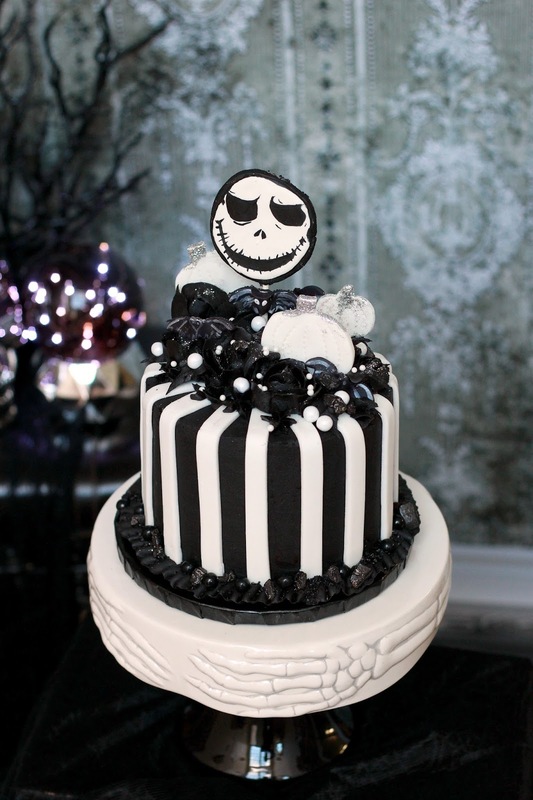 THAT IS SOO TIM BURTON OF ME. To adorn the top of the cake -- i piped black buttercream roses and added in some tiny little fondant bats. It's a shame you can't see them. I think I may have been better off going with a grey/black two-tone effect. All in all, I did love the cake. I think it would have been cool to slice it open and see the vanilla and pink interior which definitely is a contrast compared to the exterior! Sadly the enjoying and eating is never my job *sniffle*. 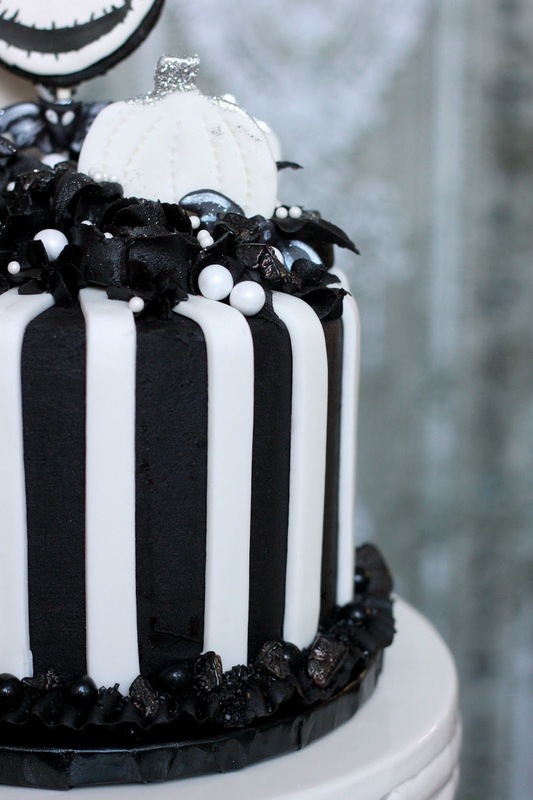 How perfect is that cake stand?!? Another great Winners find. God I love that store. Actually most of the props in the photo are from there! Go figure! 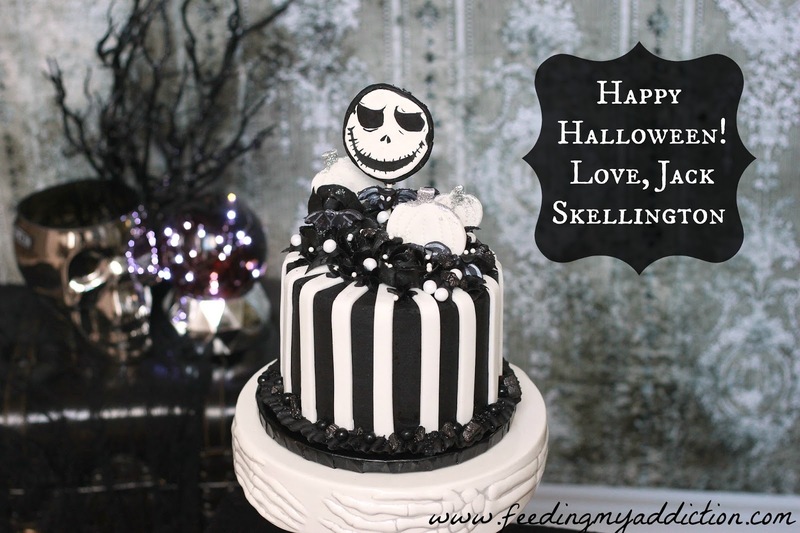 Despite being terrified to attempt my favourite character I was so so happy that someone finally asked me to make something Jack Skellington. If you aren't pushing yourself then you won't ever grow, right?! I was in search of a cake for Halloween and i just find your's, It look's good and fits perfectly on Halloween, I really like it keep sharing more.